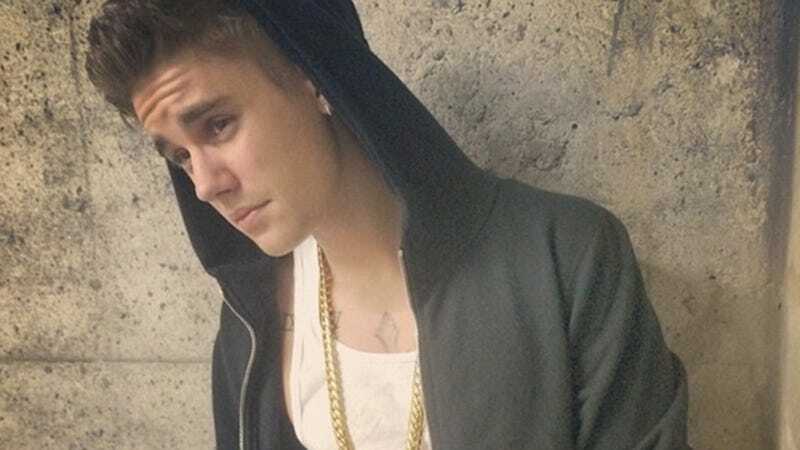 Justin Bieber is many things: embattled ex-teen heartthrob, keeper of the world's downiest moustache, arbiter of "swaggy," the Canadian Banksy... now, he may have to add "felon" to that illustrious list. Today, the Biebs will be charged with criminal vandalism for egging his neighbors' house — which apparently cost an estimated $20k in damages. As of now, we can't be sure whether Justin will be charged with a misdemeanor or a felony (the case's prosecutor did once say, "If this isn't a felony, nothing is," but, like, there are lots of things that are more obviously felonious than this).